As part of our #PiratesLifeEvent press trip, there was some serious Disney nostalgia going on! 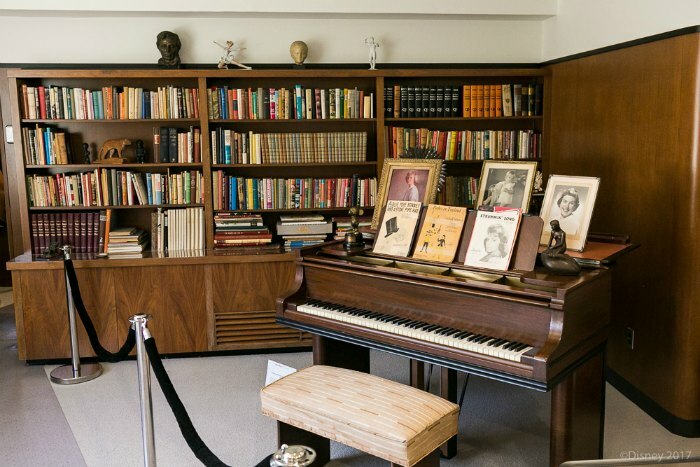 Not only did we get to chat with the original voices of Bambi and Thumper (in celebration of the 75th anniversary of Bambi), but we got to tour Walt Disney’s office! 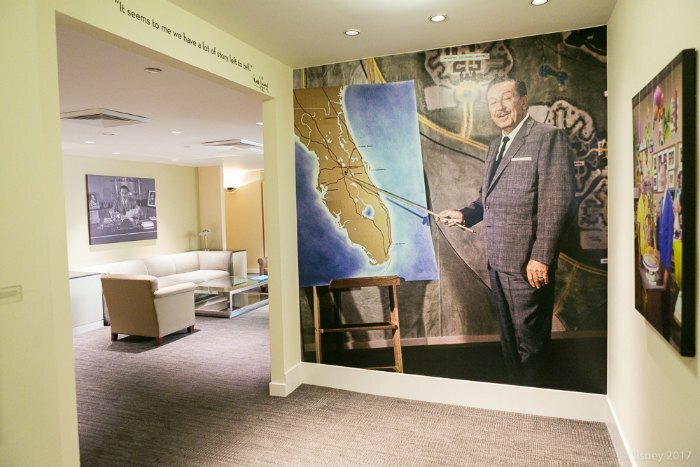 The Walt Disney Archives painstakingly restored Walt’s offices to their appearance at the time of his death in the 60s. 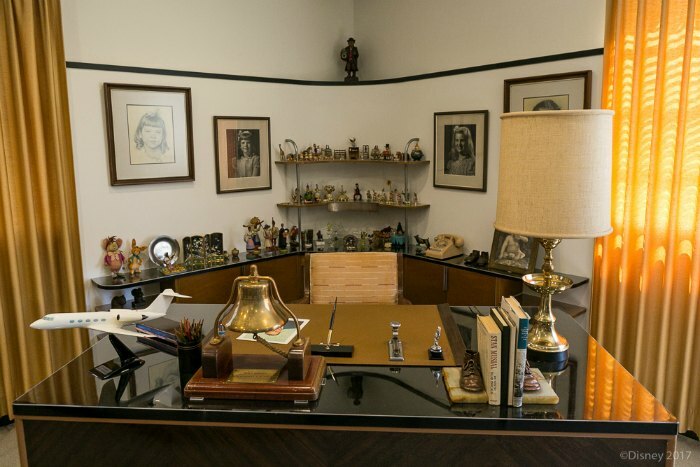 Thankfully, after Walt died, Dave Smith catalogued everything in Walt’s office (so Dave is actually credited with starting the Walt Disney Archives). So, archivists could put the office back together exactly as they were. 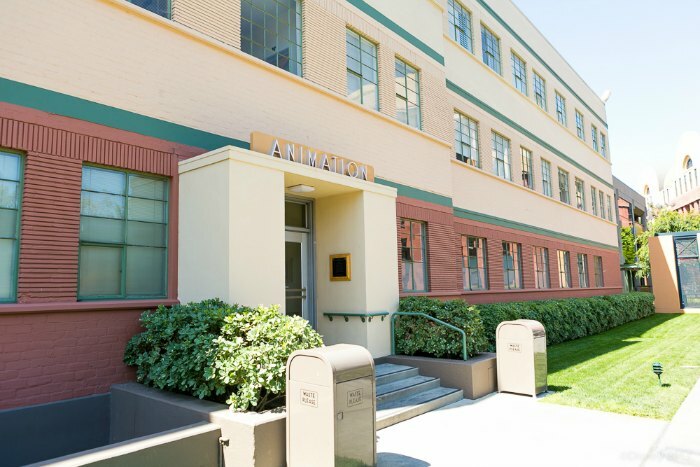 The tour begins in the Animation building, where Walt’s office was from January 10, 1940 (when the studios moved to this location) until he passed away in 1966. 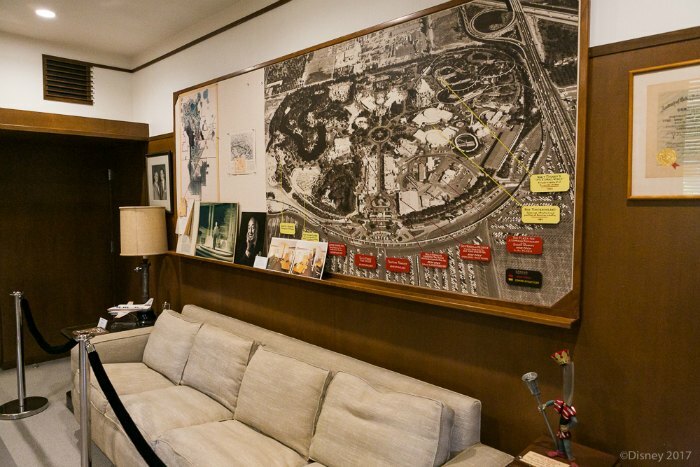 For a time, parts of Walt Disney’s office were on display at Disneyland and Walt Disney World at different times. But since this is the first time that the office has been fully restored and on full display. The office suite restoration took many months of heavy detail work. The restoration process was complete in 2015. The photos just leading down the hallway to the office were INCREDIBLE – family photos, photos of important moments & memorable things! SO cool! Then, you round the corner you see above and walk down a small hallway to enter the office suite. 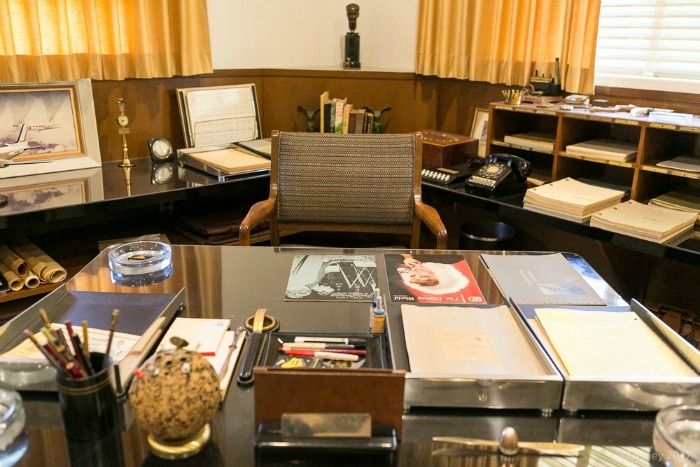 The first thing you come upon in the suite is the Secretary’s Office. 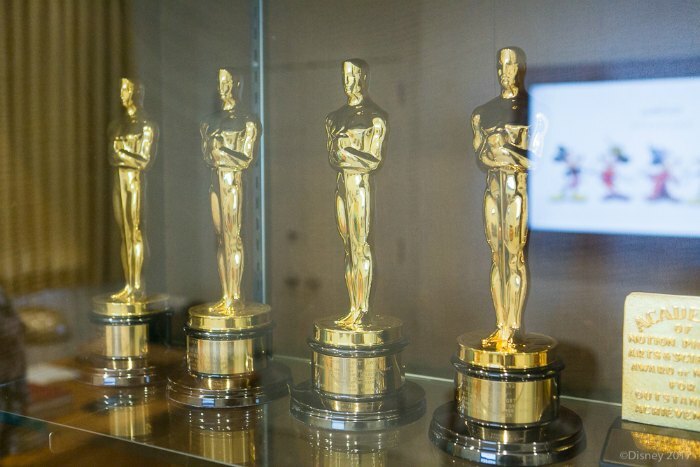 Inside this area was a case of some of the notable awards Disney had received! What a sight! Through the door you see above on the right, you enter Walt Disney’s formal office. 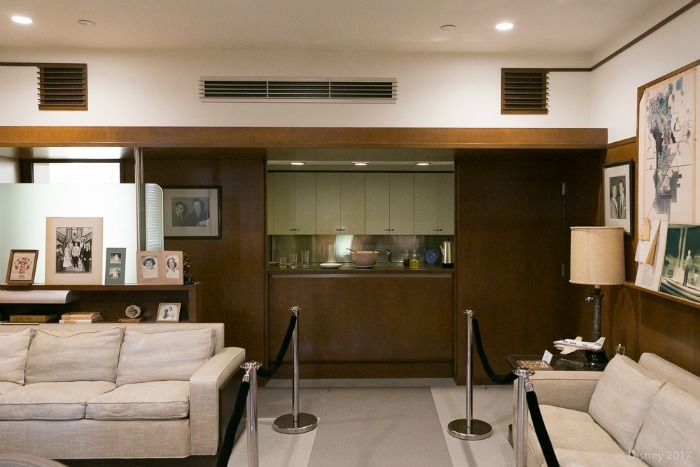 This is the area that he used to do more formal business dealings like taking publicity photos, signing important letters, entertaining important guests, PR things, etc. 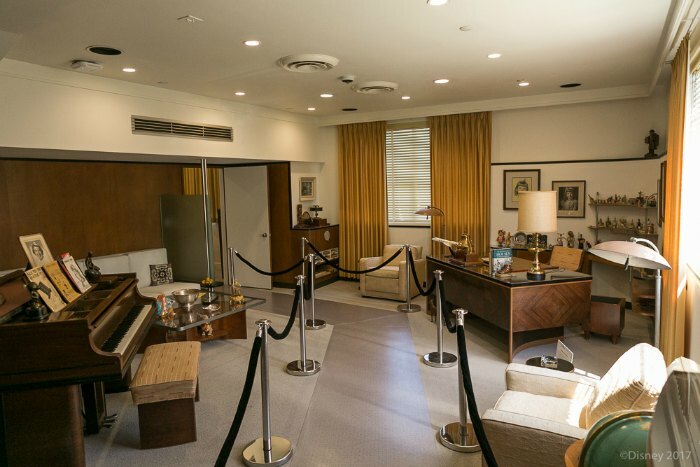 The piano in this area was really fun to see – especially because it was often used by the Sherman Brothers to play new pieces for Walt. SO cool! 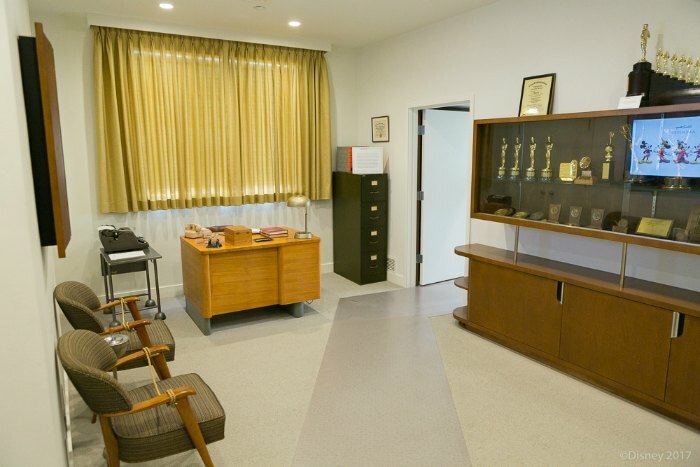 Just off this formal office was Walt’s actual working office. It had a MUCH more relaxed feel – complete with more papers, more personal items, two couches, and a little kitchen with a bar! It was so fun to see the difference between the tones of the two offices. One thing that was really neat to see was the BIG Disneyland map (that felt almost like a “working map”) that took up like almost one entire wall. One thing that stood at to me was all the “stuff”. You could really get a feel for the kinds of things that Walt liked and was inspired by. There were trinkets and papers and books – SO many books! Mementos, papers, family photos, gifts from people – there were SO many things that seemed so fitting in the office of someone with a creative mind! I LOVED it! Can you even IMAGINE all the decisions that were made here?! Amazing! It’s so great that his office is now back, exactly as it was, on permanent display at the studios! Special thanks to Disney for inviting ad hosting me on the trip! All photos above are used with permission from Disney.